It should be clear that the development of complex and scalable systems requires some form of intelligence. We cannot design general policies and strategies which do not take into account the current state of a system. But the state space of a complex system is very large and it is unfeasible to create a rigid control infrastructure. The only alternative left is to base our actions on logical inference. This process requires a set of policy rules and facts about the state of the system, gathered by a monitoring agent. 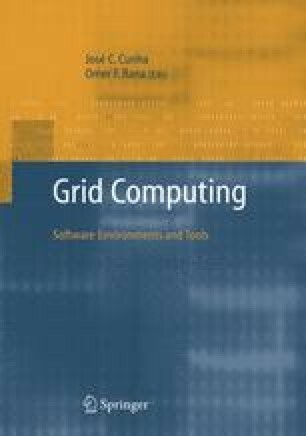 Similar arguments show that we need to plan if we wish to optimally use the resource-rich environment of a computational grid, subject to quality of service constraints. Further optimization is only possible if various entities making decisions have also the ability to learn. Our future work will allow us to perform more comprehensive measurements on the testbed system we are currently developing. Data collected from these experiments will allow us to create realistic models of large-scale system and study their scalability.